On 8th November 2016, the Government of India announced that the ₹500 and ₹1000 banknotes were demonetised. There was no way one could spend their bank notes and now the only possibility of accepting or making payments is through digital services for saving time instead of waiting in long queues at the ATM’s. In this article, we are going to tell you how you as a Retail Store owner can easily accept payments through Paytm services easily. First of all, if you have ever recharged your phone online you might have heard about Paytm services that have been online from almost a decade. The first thing to do is to download the app from the google play store & login with your credentials if not create an account. Depending on the type of services you have a different list of steps as mentioned below. I want to accept payments on my app/website – Power your App/Website with Paytm’s payment solutions. Customer can pay through Paytm Wallet, Credit Card, Debit Card and Netbanking. Paperless onboarding option with easy integration kits / SDKs / APIs. 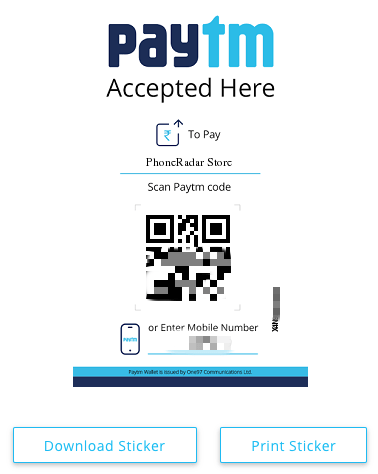 I want to accept payments in my shop/retail store – Start accepting payments at your Shop with Paytm QR solutions. Customer can scan the QR code and pay through Paytm Wallet. No POS or technical integration required. I want to accept payments using Whatsapp, Facebook, SMS or email – Send Email / SMS invoices with a Pay button and get paid faster with Paytm. Customer can click on link and make payment without any hassle. I want to reward my customers with Paytm cash – Reward your customer with Paytm cashback as gratification for loyalty. Select the Second option of accepting payments for my shop & follow these steps to get started. 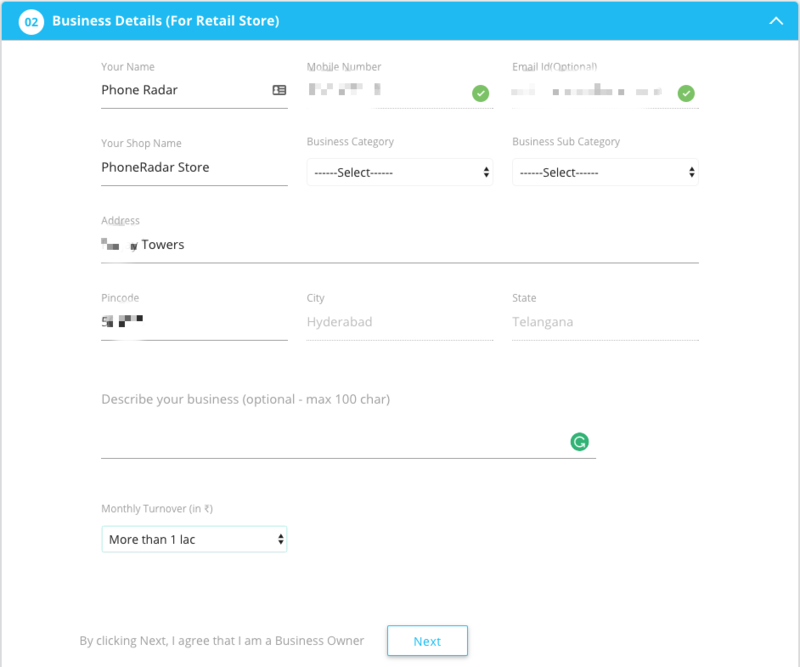 The first step would be filling the Business Details (For Retail Store) form that needs you to share all the details of your shop including the address, category of the business, business description etc. In the next step you would be offered a sticker that you could download & print or else save onto your phone. That is it, now you can collect payments from anyone who visits your store and get started. Following is a copy of how the sticker looks like. This is how you could easily accept payments from your customers directly on your application, website or your offline retail store or business. Now if you are confused about the costs associated for these services we have mentioned them below. * Receiving money in your Paytm A/C is free. * If you are a Non-KYC merchants you only need to pay 1% Charges on transferring money to your bank account. * Till 31st of December 2016 all KYC Merchants can transfer money to their Bank account without any charges. Zero Transaction Fee for the first 3 months. * Flat 1.99% thereafter plus service tax. All the digital wallet services are offering great benefits to businesses who are looking forward to accept payments through them and the above is an example of the same. You can also take a look at other service providers in the market and this tutorial was just for information.